In an earlier blog post I mentioned a trip we’d taken to Slovenia last fall. 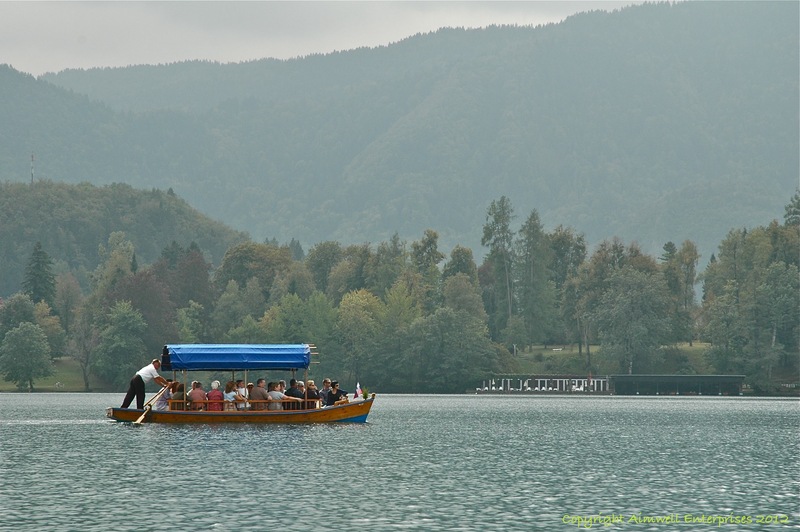 One of our stops was the beautiful resort town of Bled which is set in the Julian Alps about a one hour drive north of the country’s capital, Ljubljana. 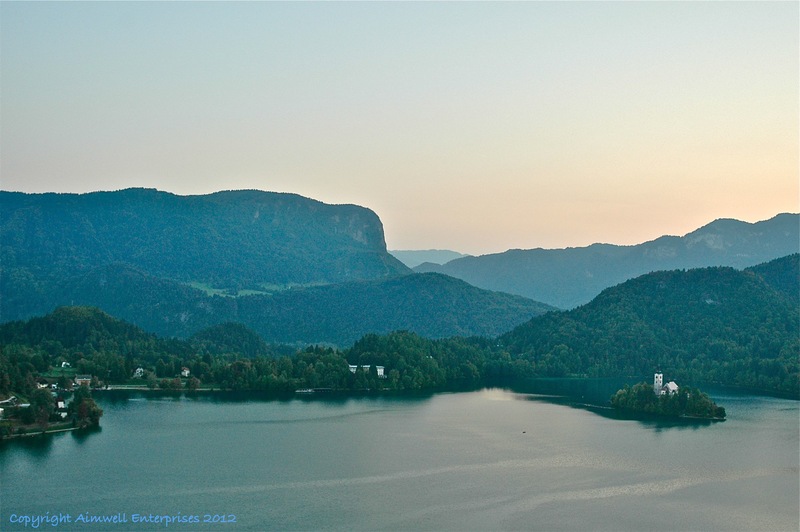 Bled is nestled on the shores of glacial Lake Bled, a remarkable body of water when you consider it has no large tributaries and is fed only by a few natural springs. It reminds me of the glacial lakes I’ve seen in the Canadian Rockies — calm, peaceful, tranquil — notwithstanding its characterization as a spa resort. The waters on the lake are pristine and still. No motor boats are allowed so the tranquility of the setting cannot be disturbed. The lake is Slovenia’s rowing centre and has hosted many regattas and championships. During our morning in this picturesque medieval town we enjoyed a 20-minute ride in a “pletna” (a boat seating about 20 people and rowed by one person … see adjacent photo) across the lake to a tiny island which is home to the Assumption of Mary Pilgrimage Church. It’s from this island the first image was taken. Perched on the rocky outcrop overlooking the lake is Bled Castle, a fixture in the area in various guises since the 11th century. A complete history can be found here. Our short visit only gave us a taste of this beautiful area and didn’t really allow us to benefit from its relaxed ambiance. 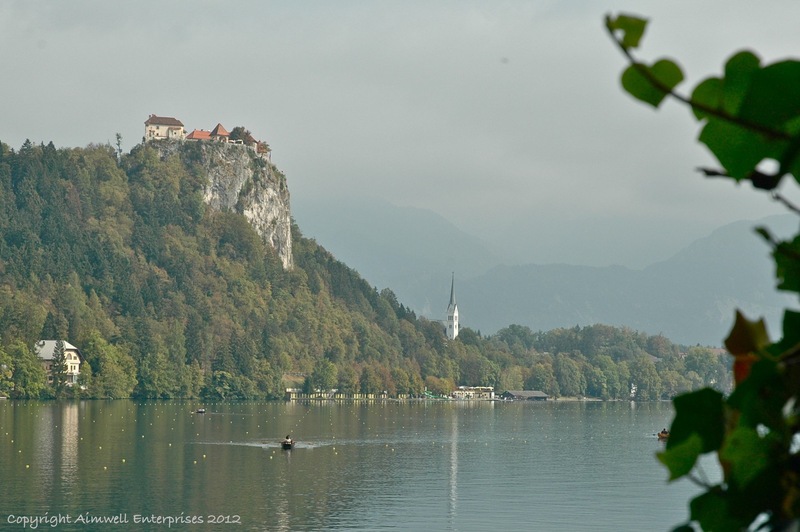 Should we ever have a chance to return to Slovenia, Bled will be on our bucket list of places to stay … I’m thinking at least four days. This entry was posted in Castles, History, Landscapes, Nature, Photography, Slovenia, Travel, Uncategorized and tagged Bled, bucket list, landscapes, Ljubljana, medieval, mountains, Photography, Slovenia, Travel. Bookmark the permalink. Great post! Bled and also the rest of Slovenia are well worth visiting. Slovenia offers limitless photo opportunities to travel-photo enthusiasts like myself. Make sure you visit before it gets overrun by tourists. It is still pretty undiscovered and underrated.